Very good TV all the features picture and sound are up there with quality. For the price you can't ask for more looks good and sturdy would recommend to anyone. Great tv. Amazing picture and sound. Easy to set up. Easy to add and remove apps. Easy to navigate with the remote. Remember to order a stand or wall mount as it's original feet/stand are quite far apart. Overall - I'm really pleased with it. Arrived on time. Very impressed. The picture is excellent and great sound quality too even without sound bar/extras. Love having the bigger size to watch. Great quality. The item I have had is amazing. Exactly what I was looking for. Can not pick fault with the item. Great new addition to my living room. The picture quality is fantastic and so is the sound, I was considering getting a soundbar but won't bother now. Would recommend to anyone. 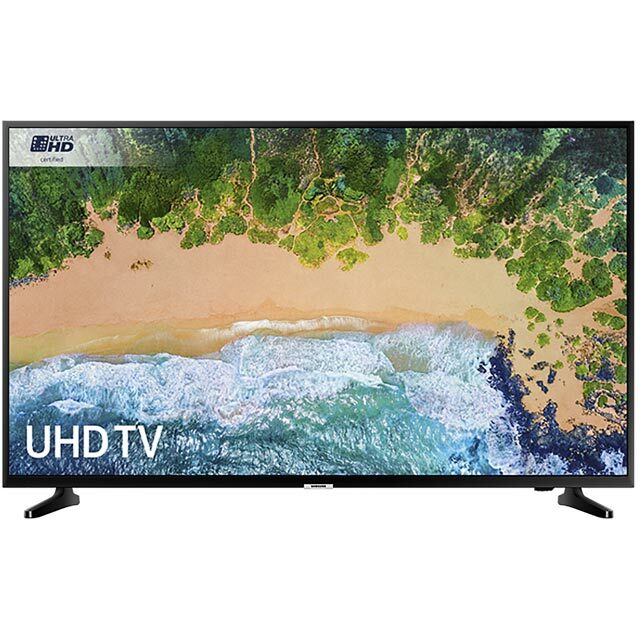 Great tv at a great price. Easy to set-up and to use. Highly recommended.